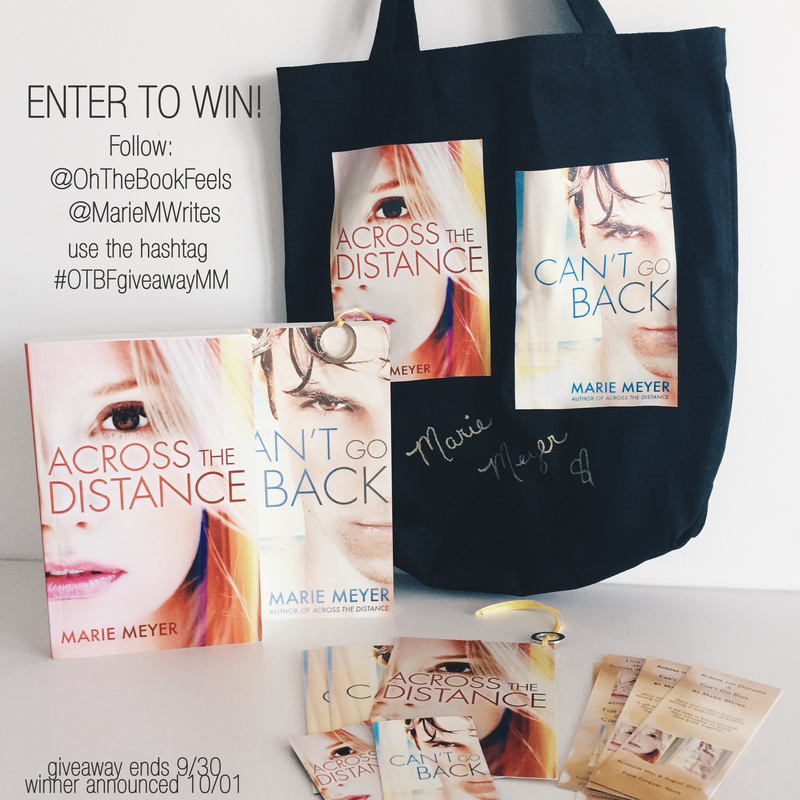 ACROSS THE DISTANCE & CAN’T GO BACK Giveaway! That’s right! Jillian and Griffin are finally together! Oh The Book Feels is hosting a huge giveaway on Instagram! For your chance to win the prize package below, Click Here for More Details! Prizes include an exclusive AtD/CGB tote bag, paperbacks of Across the Distance & Can’t Go Back, magnets, bookmarks, and special charms! Giveaway ends on September 30th, so don’t miss out! Also, Don’t forget to sign up for my newsletter! Stay in the loop on all my book news! It’s not just the eleven hundred miles separating us now that I’m at college. Or his band finally taking off, and all the gigs and girls suddenly demanding his time. It’s as if everything is different-the way we talk, the way we text . . . the way he looks at me and the way those looks make me feel. Griffin has been the only good thing in my life since that horrific day. But I can feel our friendship slipping away-and I’m terrified of what will be left in its place . . . When Jillian moved next door, she refused to get out of the car. I climbed into the backseat beside her and promised to never leave her. Now, I’m driving her a thousand miles away, so she can leave me. She has to go. What else would she do? Follow me and my band from one cheap bar to another, get hit on by sleazy promoters? Because Jillian would definitely get hit on. She’s the most gorgeous, talented girl I’ve ever known, and she doesn’t even see it. This scholarship gives Jillian the chance to study at the best design school in the country. It’s what she’s always wanted. I won’t stand in the way of her dreams, no matter how much it hurts to watch her go. I just wish she wasn’t leaving without knowing the truth . . .
← Cover Reveal for INCONCEIVABLE!